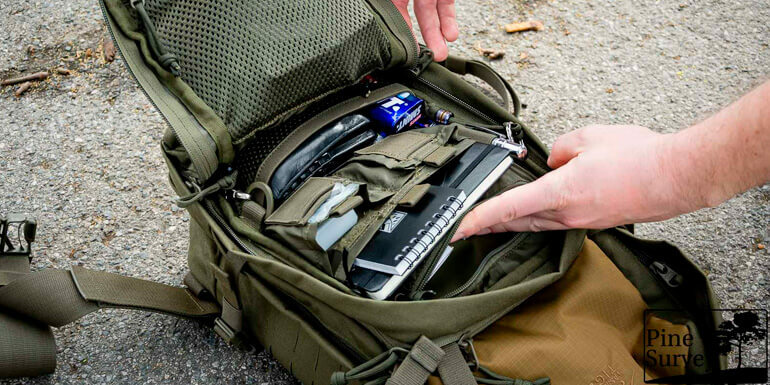 The TT SGL Mag Pouch MKII is a universal pouch for G36 magazines. Its special design allows you to flexibly vary it for your individual needs. The closure flap is made of laser-cut laminated fabric layers and can be vertically adjusted or removed entirely. If you remove the buckle closure, the flap can also be used as a Velcro closure. 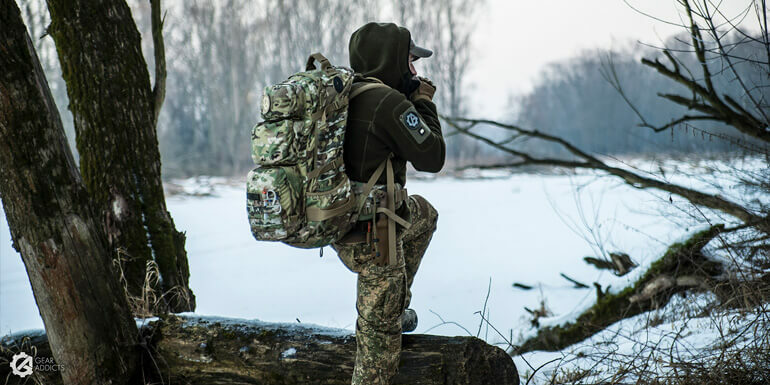 Without the flap, the pouch can be equipped with the elastic quick release closure that comes with it. 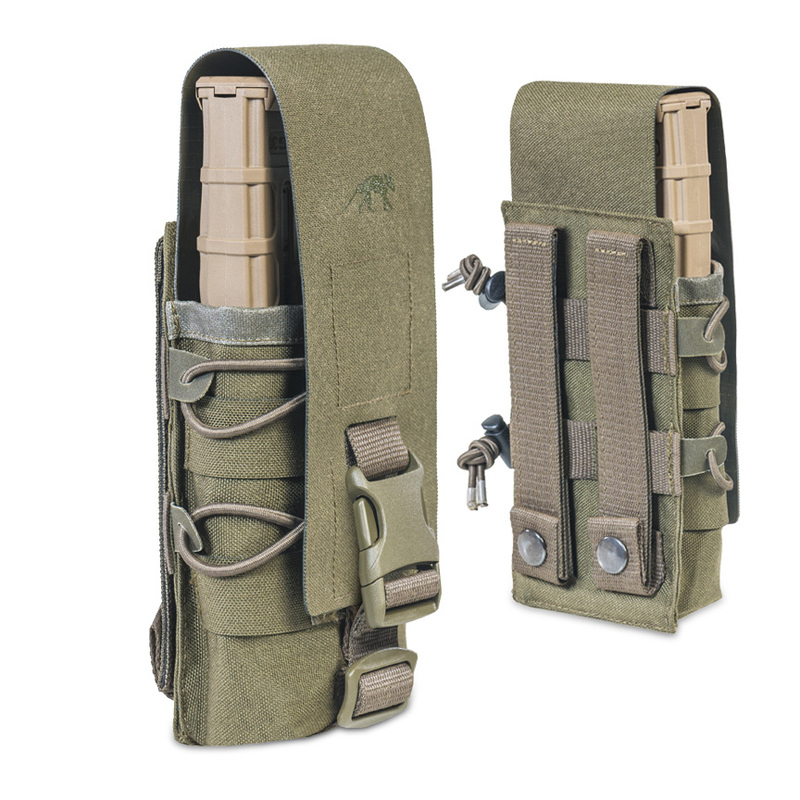 The TT SGL Mag Pouch can also be used as a DBL version for two M4 steel magazines. 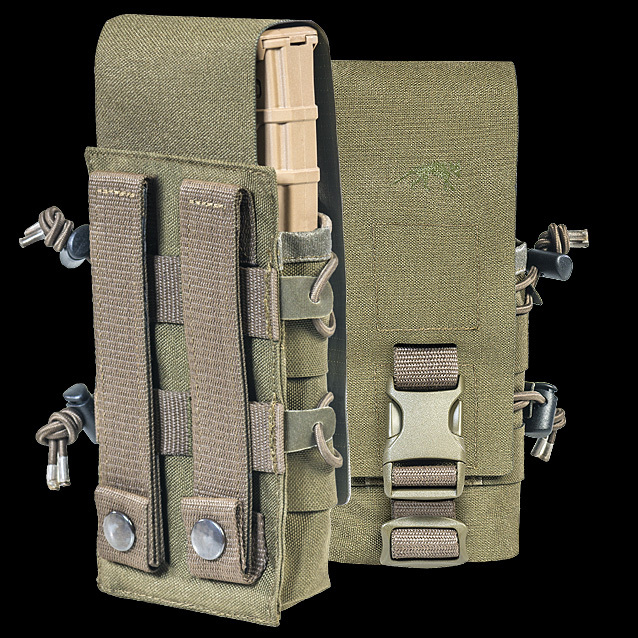 The TT DBL Mag Pouch MKII is also available for G36 magazines and there is the TT SGL Mag Pouch HK17 as well. Magazine secured with quick release buckles. The Velcro surface on the outside of the pouch is covered. The bungee cord closure should be pulled out for this closure version. Magazine secured with Velcro flap closure. The Velcro cover on the outside should be removed for this variation. The quick release buckle is pulled out. The bungee cord closure should also be pulled out here. Magazine secured with the elastic vertically adjustable bungee cord closure. The flap is detached and the quick release buckle removed. The side compression can either be used to suit or removed entirely for all variations.